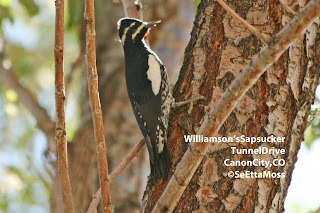 I found this adult male Williamson's Sapsucker in a deciduous tree near the Arkansas River at the end of Tunnel Drive in Canon City,CO. 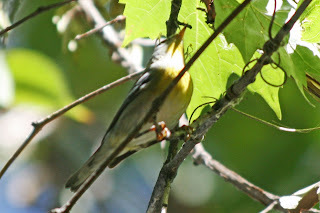 Although one to several Williamson Sapsuckers winter in Canon City most every year, it is unusual to have an adult male here and this is pretty early. 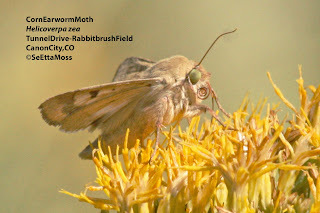 This species breeds in the foothills southwest of this location mostly in ponderosa pine and conifers with nesting often in aspen trees. The US Fish & Wildlife Service announced their decision this morning on petition to list the Gunnison Sage-Grouse under the Endangered Species Act. "The U.S. Fish and Wildlife Service announced today that it has determined that the Gunnison sage-grouse, a bird species found only in southwestern Colorado and extreme southeastern Utah, warrants protection under the Endangered Species Act (ESA), but that proposing the species for protection is precluded by the need to address other higher priority species. . . . The Service will add the Gunnison sage-grouse to its list of candidate species and review its status annually. " 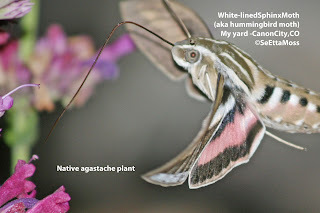 For those of us concerned with the survival of this species, this is sad news as it was on the Candidate list until 2006 when a politics overrode science in the Dept of the Interior, and it continued to face many problems. You can read their entire press release here.